We try to bring our valued customers the largely and most widely varied array of lawn and garden services possible. We here at League City Tree Trim understand the grand chance that your home or vehicle could be affected by flood or wind damage here in the crazy weather of Texas. No Problem! League City Tree Trim has the service for you! 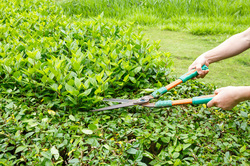 Maybe your home or a property you are flipping has let its trees and shrubs go into disarray? Give us a shout as we offer services ranging from the commercial to the residential. Here at League City Tree Trim you know we love our small business owners who make it a pleasure to do business here in the best place in Texas, League City. The services are meant as guidelines for the customer to order the package deal that best fits his or her tree or landscape needs. Our employees go out of their way to give the best precision and service possible in giving your home and garden the trim it needs. Our guys simply are the best, without any setbacks, the League City Tree Trim looks to comeback again for yet another year as Texas’ number one Tree Trimming Company. The reason that we stand alone on top of the trimming business is that we take the time to make sure our customers are actually satisfied before we hop in the truck to get going. Give us a call now at 281-346-4040!